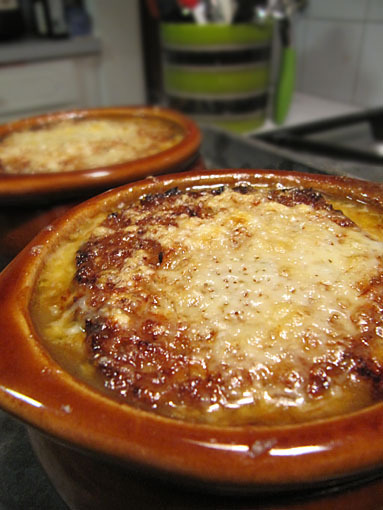 French Fridays with Dorie this week, er, yesterday was for a French Onion type of soup. I have made a variation of this before, but I was very curious as to how it would work with chicken broth (I used beef broth before). And, in fact, this time I used “No-Chicken Broth”, so it was actually vegetarian. This week’s French Fridays with Dorie involved mussels, which I am not always a huge fan of (although the mussels at Place Pigalle in Seattle are unbelievably delicious), but generally, aside from those, I can take or leave mussels. 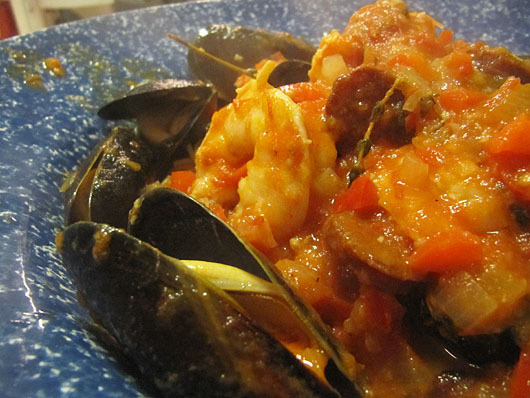 That being the case, I used about 1/2 pound mussels and a 1/2 pound shrimp for this dish. I also used real Spanish chorizo, which, much like bacon, makes everything awesome. We had this with the pasta (multi-grain linguine) and it was a pretty good meal! Now this was a true kitchen experiment. I really had no idea how it was going to turn out — spoiler alert: it was awesome! 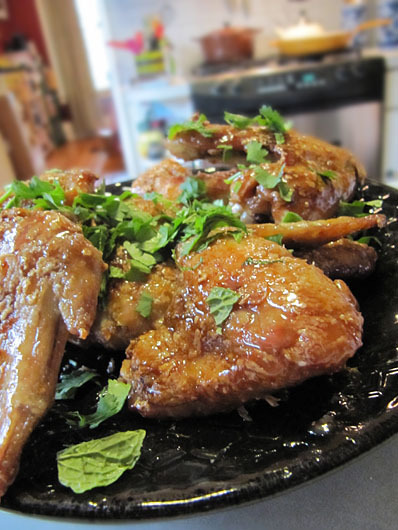 I came across the Pok Pok recipe for Ike’s Fish Sauce Wings in Food & Wine magazine a few months ago and thought, “oh, wow. I need to try making those.” And finally this was that day. This French Friday with Dorie pick, for me this week, was the perfect recipe. It was super quick and chocolatey and aside from the nutella, I actually had all the ingredients already. Perfect! 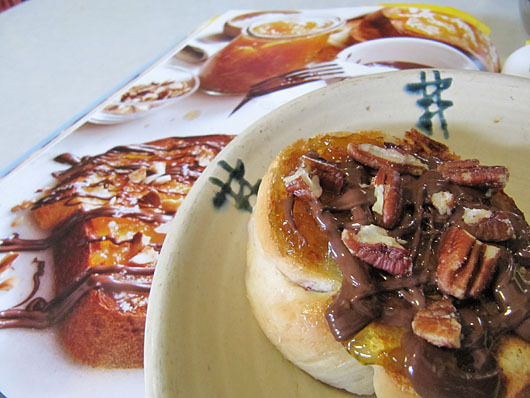 Instead of brioche, I used challah as the recipe suggested as an alternative. But not just any challah — I had some cranberry challah rolls in the freezer. This was the perfect excuse to defrost one, slice it up, and slather it with goodness. Plus, I thought the cranberries added to the overall flavor. This is going to be a very short intro for this recipe. 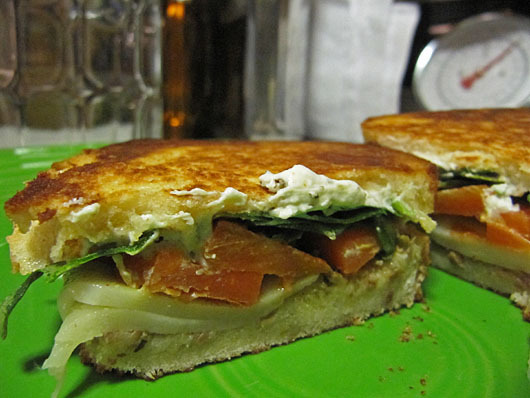 Mainly, because I’m tired but also, because it’s a grilled sandwich and really, is there a lot to say about that? Not really. There’s cheese and it melts, so you know it’s delicious. The original recipe called for making your own green olive tapanade, but hell, if you want to just buy some, I won’t tell anyone. That’s actually what I did. And the sandwich was still great!